Five colors screen printed poster for Murder by Death’s New Years Eve shows at Pappy and Harriet’s Pioneertown Palace in Joshua Tree, CA. 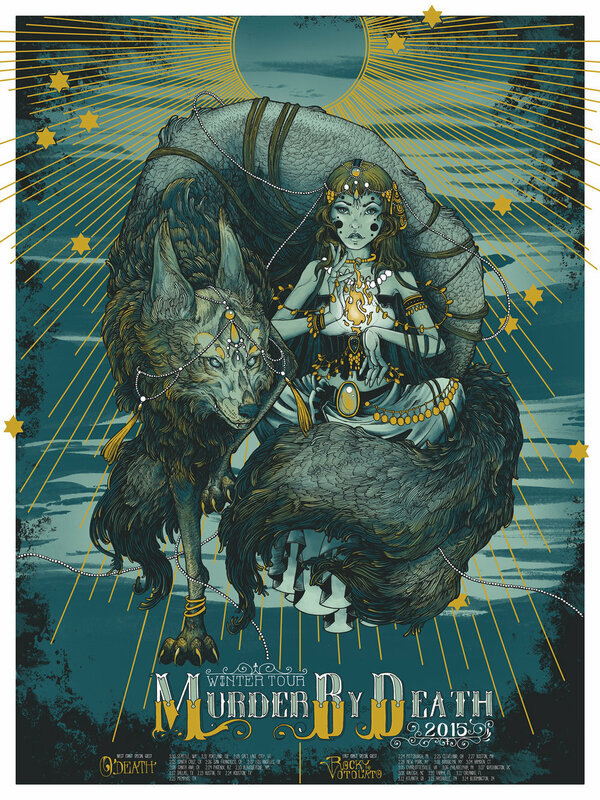 Five color screen printed tour posters for Murder By Death with Rocky Votolato and O’Death on their 2015 Winter tour. Murder by Death played three shows in a Secret Cavern somewhere in Louisville, KY and asked me to create this two color screen printed poster for them. 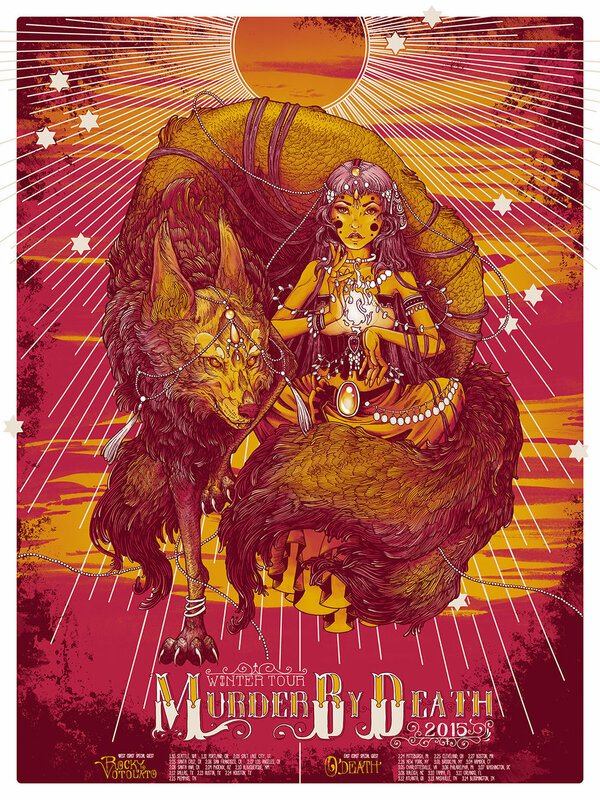 Three color screen printed poster for Murder By Death’s 2013 Autumn tour.